Mumbai – BharatBenz is the principal sponsor of this year’s annual general body meeting of Mumbai Bus Malak Sanghatana, showcasing its successful products in the school and staff bus segments as well as its latest introduction, a 16-ton bus chassis offered to bus body builders, held on 8th December at Hotel Peninsula Grand. In line with the BharatBenz brand’s holistic approach towards safety, its buses come factory-fitted with a comprehensive range of seamlessly integrated active and passive safety features. The robust yet lightweight aluminique body meets the stringent safety standards for roll over as per the AIS-031 CMUR Bus Body Code. The vinyl flooring with an anti-skid top layer and fire-retardant materials are carefully designed to ensure a safe walkway for passengers in case of emergency situations. Optional features include fog lamps, GPS facility, smoke detectors and fire alarm. 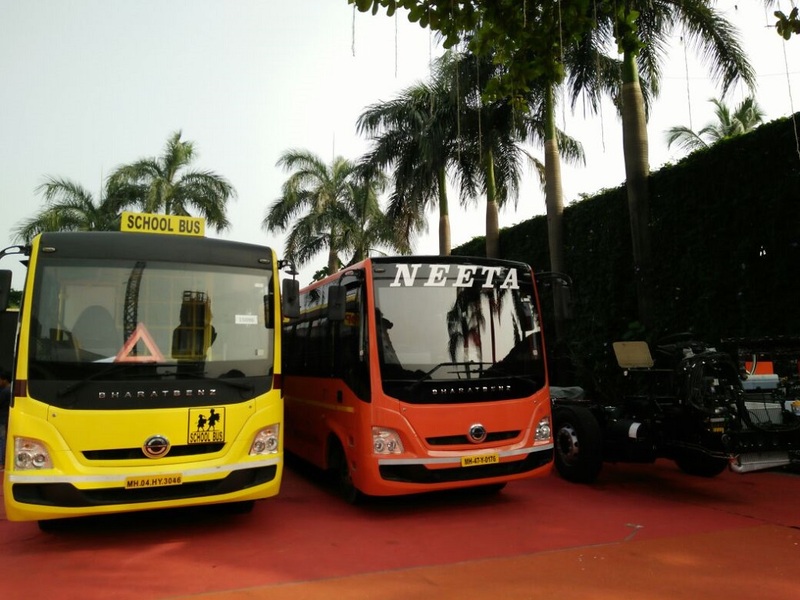 BharatBenz buses are also designed to deliver higher profitability for bus operators. The unique aluminique body structure considerably lowers gross vehicle weight, while the aerodynamic body design and tubeless tyres reduce drag and rolling resistance, altogether improving fuel efficiency. All BharatBenz vehicles meet the new BS-IV norms using a system based on proven SCR technology, providing further improved fuel economy and lower maintenance costs. The school bus from BharatBenz is designed specifically to ensure safety and comfort of school children, with child friendly interiors and best in class ride quality. Chennai. 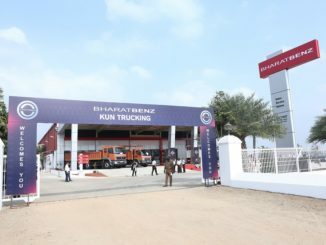 Customer services for both brands are provided through the panIndian BharatBenz dealer network, offering tailor-made service packages, 24×7 after-sales support, and advanced interactive vehicle diagnosis. Custom-tailored financing solutions are available through Daimler Financial Services India.